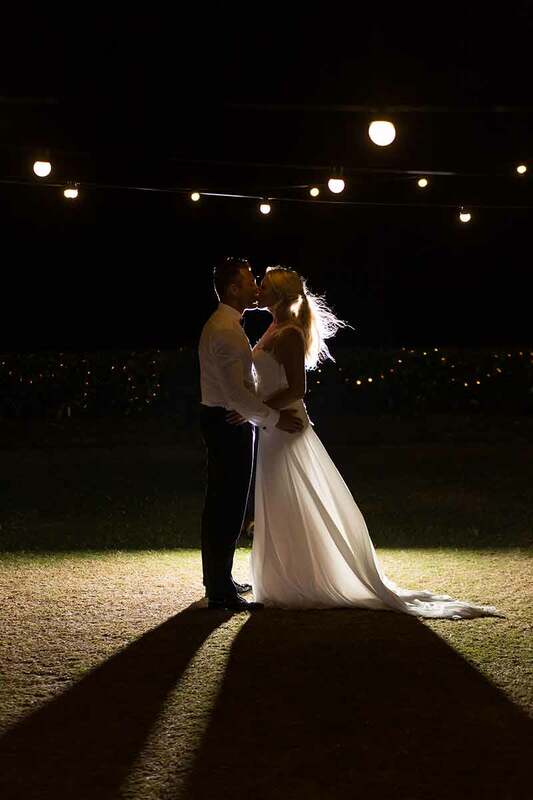 Planning a Whitsunday Wedding and not sure how to style your special day? When you think of the Whitsundays you think of crystal blue waters, white sandy beaches and the abundant coral reef underneath the shore line. How do you incorporate the destination into the styling? Easy! You have chosen one of the most magical places in the world to commit to each other all you need to do is put your own ‘flavour’ on it. 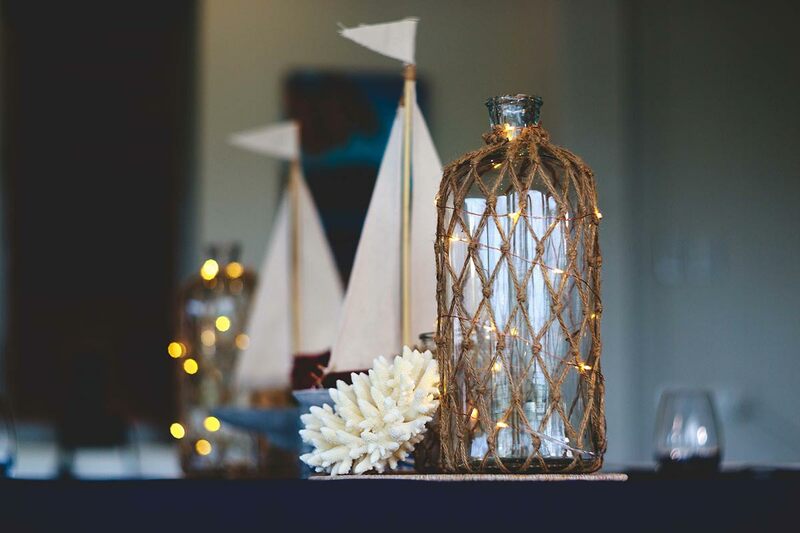 There is no denying that seashells, star fish and aqua are always going to be a hit at a Whitsunday Wedding. Why not try a nontraditional theme such as Nautical or Tropical Glam? Really wow your guests when they arrive to your Wedding. Using pops of colour, texture and natural elements to your styling. 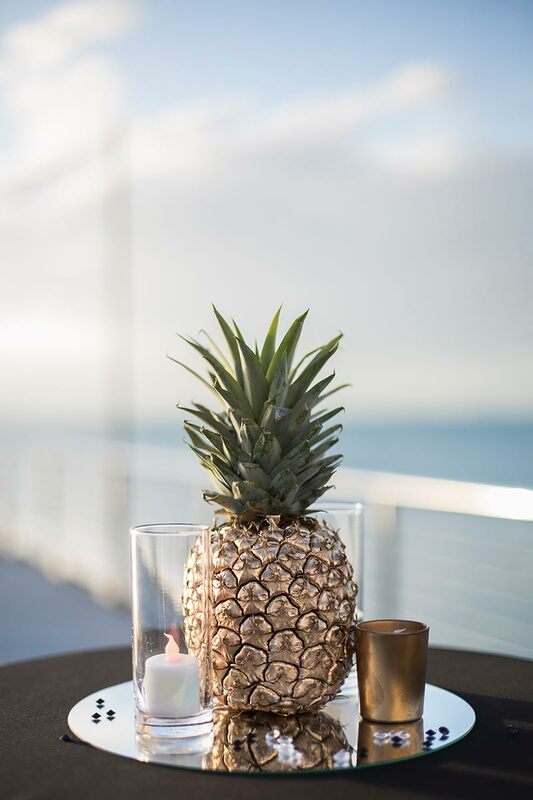 Items such as Pineapples add height and dimension to your tables, not mention talking point for your guests. Be Brave, it’s your day try something new and different. With bold theming it’s important not to go too over board as you don’t want your wedding to have ‘too much going on’. Your guests will not know where to focus, when their focus should ultimately should be on you. Not so keen on Bright colours and frangipanis? Stick to simple and clean styling with Monotones and Metallics. Choose a predominate colour, add a Pop of Gold, Silver or Rose Gold and you’re a styling Goddess. Don’t under estimate the power of Light- I am talking fairy lights, festoons, letter lights, candles and up lighting. They can totally transform any event and create a magical wonder land. The simplest setting can be bought to life even with a few tea lights, I would consider your venue and if they have any restrictions when it comes to lighting. Commit!! When you decide on your theme commit to it all the way through. From start to finish- You want everything to flow and make sense. With this been said once you have committed to a style, stick to it! Things can quickly be derailed in the styling world by forever changing themes. This will save a lot of hair pulling and stress in the long term.